CCofRR13, Poohlady5, Kerri780 and 1 other person like this. CCofRR13, Poohlady5 and Disneychildwithin like this. Does anyone know if Peter Pan pop up pin is being released this week? Still haven't seen the insde, but I don't want to miss it when it's finally released. 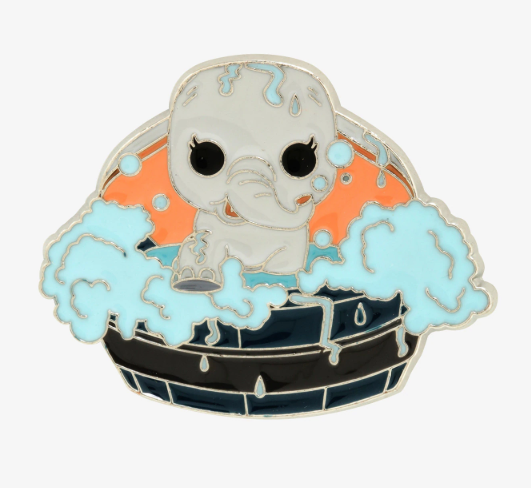 I might be wrong but I don't think I've seen this posted yet? 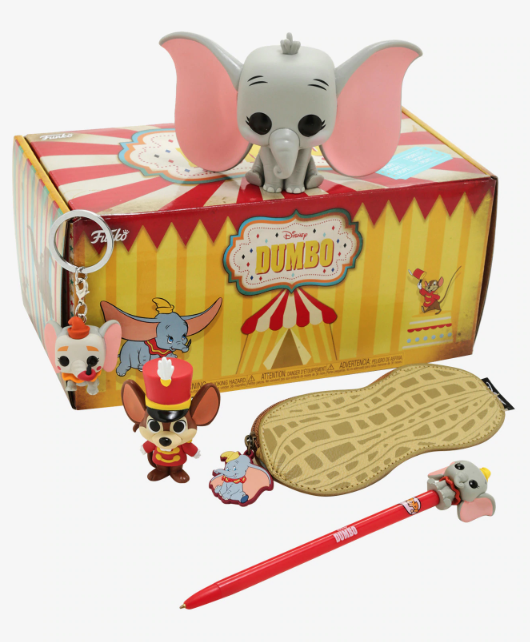 It comes in the Dumbo funko box from Hot Topic. I like these boxes, but I wish they'd go back to the bigger, more elaborate figures like the ones in the Little Mermaid (Ariel on the rock with waves) and Villain (Hook up on the gator) boxes. Aww I just bought one of these boxes and was hoping to be completely surprised I guess I’ll still be a bit surprised since it is a mystery box haha i hope it has all that stuff inside! Haha don’t feel bad I just hadn’t seen them until I saw the boxes in store. Yes, the box says 1 pin, 1 keychain, and 1 figure in tin, but it looks like there’s some peanut bag thing as well.. maybe that’s the tin? If it's like the ones I got in the past the tin is just the box the mini vinyl is in. CCofRR13, raikipins, Tokaji and 10 others like this. Poohlady5, raikipins and timeerkat like this. That directory is a great idea! And while I don't collect TENG, this set is awesome as those are some of my fave lines! Oh and I need this set!! Disneychildwithin and I posted the details last Thursday. Lucy actually tagged Erin in her post, so I'm not sure how it got missed. I saw it posted on IG and immediately got my friend on the case finding a set for me haha! Love the idea of the film/theme directory! Aaaaaaaah! I love this so much!!! I love the collection directory idea too. CCofRR13, Poohlady5, pincrazy and 2 others like this. CCofRR13, raikipins and Poohlady5 like this. cadien, watzshakinbacon and bcol like this.